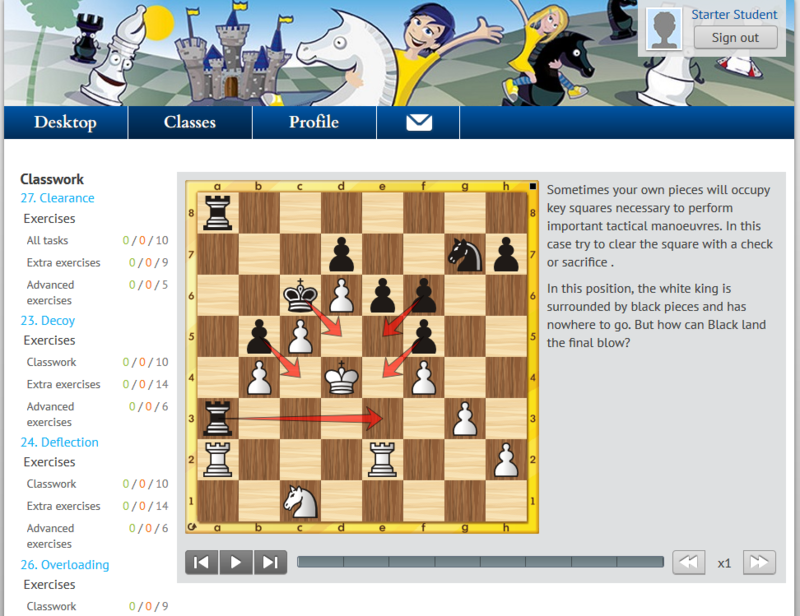 Chess School Online Starter is a web-based chess teaching platform. You can access it anytime, anywhere, using a web browser and Internet connection. With CSO Starter: Full Course you receive access to 102 lessons that will guide you from complete beginner to the level of a competent club player. 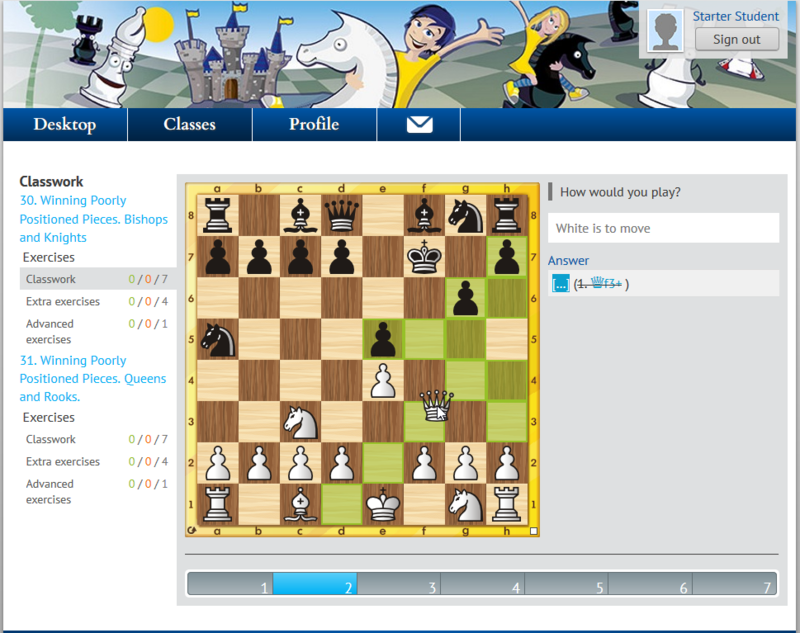 The course is composed by an experienced chess trainer Sergei Slugin. The Starter package is meant for individual study. FREE TRIAL: You can use the demo account below to try this product. 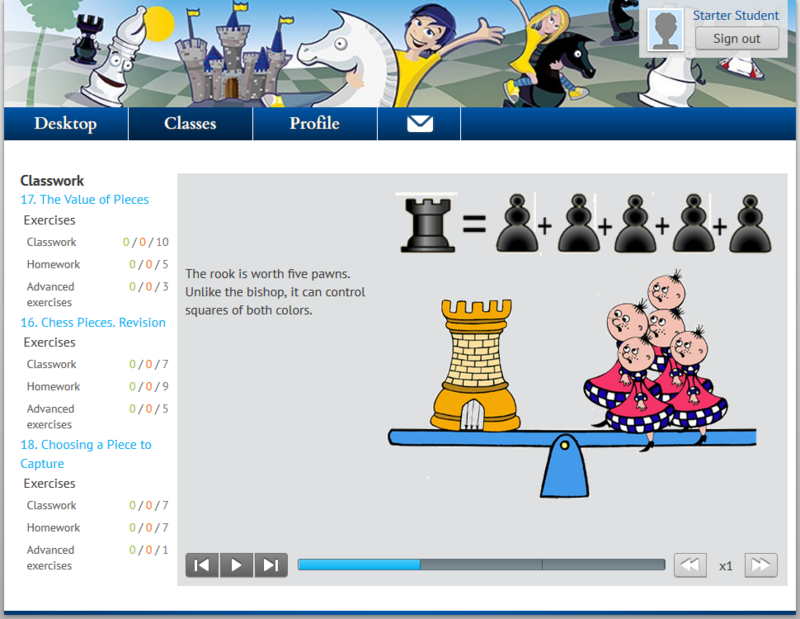 The account includes 3 lessons from each course. After signing in, go to Classes. You will see three groups of lessons, one from each sub-course. Click on one of the groups to unfold it, then click View. 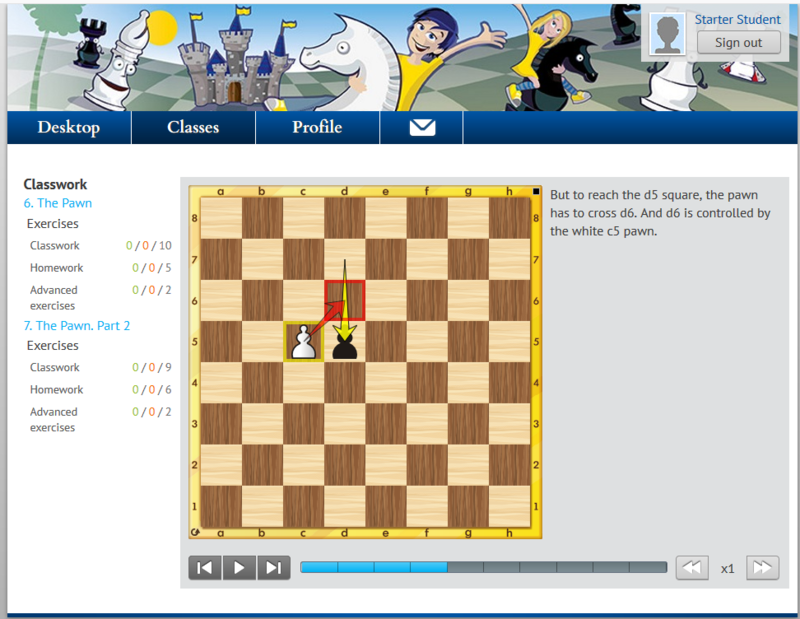 On the left, you will see the navigation panel to switch between lessons and groups of exercises. On the right is the display scree with theory and exercises. 3. Double Check. 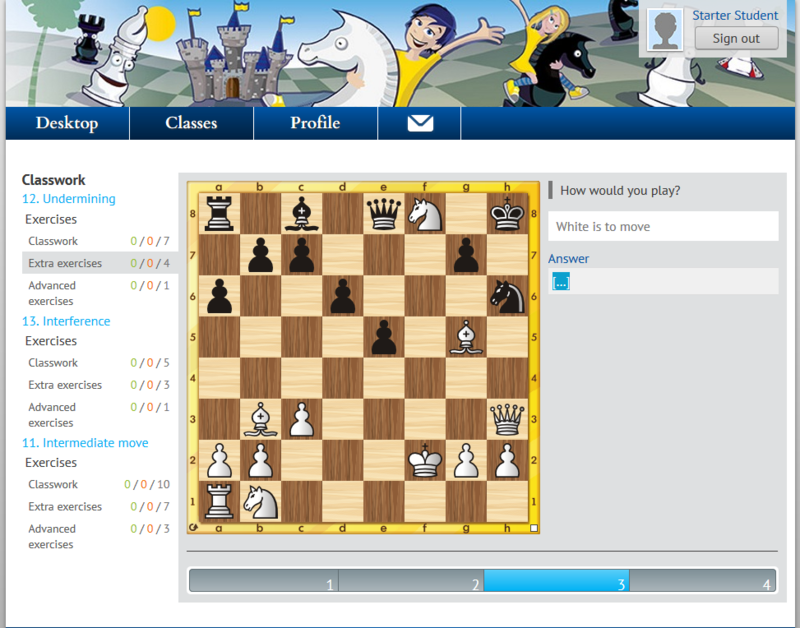 Mate in Two Using a Double Check. 31. 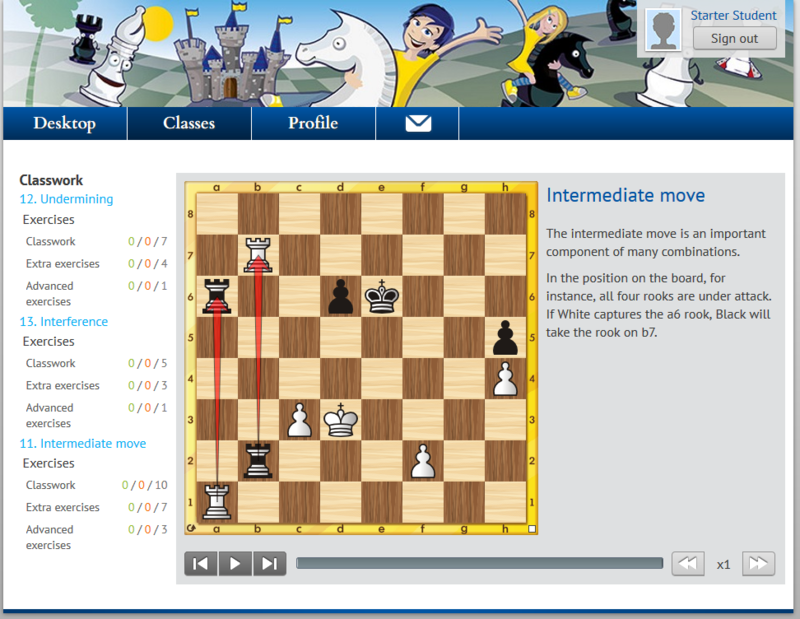 Winning Poorly Positioned Pieces. Queens and Rooks.